The X Games are back in town. Running from June 2-5, at the Circuit of the Americas (COTA) extreme athletes from all over the world will be descending upon Austin to compete in events such as "BMX Vert," "Moto X Freestyle," and "Skateboard Big Air." Texas Orthopedics' trauma specialists will be on site at COTA to treat these fearless athletes if injuries occur. 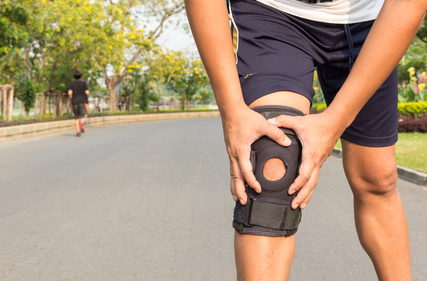 Common injuries they face include fractures, sprains and strains. These orthopedic trauma specialists have covered the event since 2014 when the X Games first came to Austin. "It is satisfying to meet and treat athletes involved in these non-traditional sports, experience their passion for the even, and appreciate the skill level they possess," says Dr. David Laverty. Other physicians on hand will be Dr. Drake Borer, Dr. Earl Kilbride, and Dr. Austin Hill. The X Games is an annual extreme sports competition organized by sports broadcaster ESPN. Athletes vie for bronze, silver, and gold medals, as well as prize money from participating sponsors. 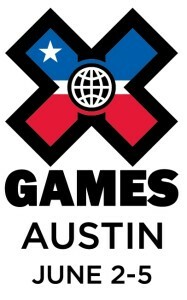 To learn more about X Games Austin, click here. We're excited to announce that the orthopedic trauma specialists with Austin Skeletal Trauma Specialists have joined our team at Texas Orthopedics to offer patients a broader scope of expertise and services all under one umbrella. We are thrilled to welcome to the practice, Dr. Drake Borer, Dr. David Laverty, and Dr. Austin Hill of ASTS, all of whom are American Academy or Orthopaedic Surgeons fellowship trained in orthopedic trauma surgery. Also joining the group is Dr. Earl Kilbride, an American Academy of Orthopaedic Surgeons fellow trained in sports medicine. Borer, Laverty, Kilbride, Hill and ASTS' staff have cared for the majority of the injured patients at the region's only adult level I trauma center, University Medical Center Brackenridge, and at the level II trauma center in Round Rock, Seton Medical Center Williamson County. These four physicians are also the exclusive orthopedic providers for X Games Austin, Formula 1- Austin, and Moto GP- Austin. In addition, they have treated numerous athletes at national events and at the Division I collegiate level. Borer, Laverty, Kilbride, and Hill see patients at the Texas Orthopedics Central Austin office, and Dr. Hill sees patients at our Round Rock location. To schedule an appointment with one of our new physicians, please contact our office. Texas Orthopedics' Dr. Barbara Bergin was recently quoted in an article on a financial website, Go Banking Rates, about retirees considering a tiny house for their twilight years. When many people are on the brink of retirement, they often get the urge to downsize and scale back. 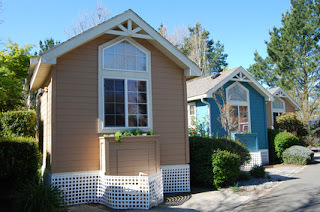 Tiny houses are proving to be a popular option for those craving a smaller space and decreased cost of living. Dr. Bergin cautions though that there may be a few challenges, from an orthopedic standpoint, that comes with tiny house dwelling. A change in mobility is a reality for a vast number of seniors, putting a damper on not only all the activities they had planned for in retirement, but also the simple tasks in everyday life. Getting around a tiny house in a wheelchair, or even with a walker, could be near impossible. "The potential temporary or even permanent need for a wheelchair is a reality, no matter how good your condition is when you retire," said Dr. Bergin. "You [might] need the space for doorways and bathrooms, especially around the toilet and shower, to accommodate a wheelchair or walker. A tiny home is not likely to have both a tub and a separate walk-in shower. It doesn't take much disability to render yourself unable to utilize a tub." Tiny houses often feature a small loft space for the second story, accessible only by a very narrow set of stairs, or sometimes even just a ladder - creating a huge potential for falls and injury. "Even if you're healthy when you retire, the chance that you will someday have difficulty climbing stairs [is] high," said Dr. Bergin. Another obstacle is limited access to medical care. 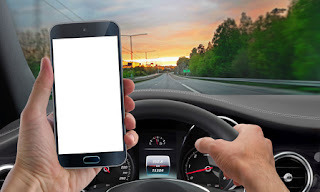 Tiny houses often need to be parked in rural areas or outside city limits, and this can be difficult if traveling long distances to regular doctors' appointments or for a medical emergency. To view the full article, please visit http://bit.ly/1O9puac. The decision to return to sports following an ACL (Anterior Cruciate Ligament) injury and surgical repair is a tough one. While it would seem that the desire to jump right back into doing what you love would be a no-brainer, it can be complicated. 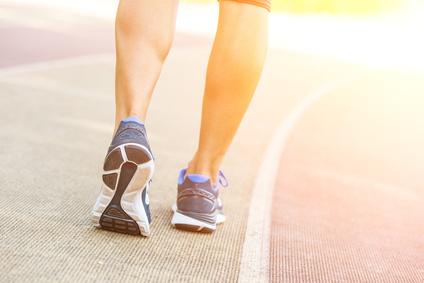 If the surgery was successful and appropriate time was dedicated to rest and rehab, then usually there are no physical limitations for returning to sports. There are, however, mental road blocks that often pop up. It is estimated that between one third and two thirds do not return to their pre-injury level of activity, despite an okay from their doctor. 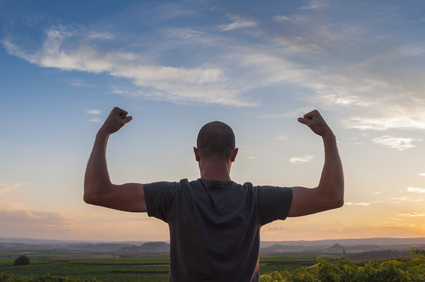 The fear of pain or getting hurt again is very real for many patients, and sometimes can be too tough to overcome... resulting in participating at a lesser intensity than what they are used to or giving up their sport altogether. If you have suffered an ACL injury and/or had surgery to repair it, yet are unsure about returning to sports, please contact us for an appointment. 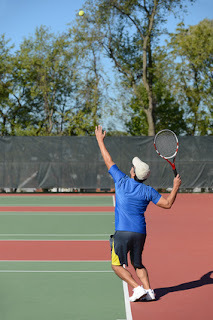 Tennis enthusiasts in Central Texas are fortunate to be able to play the sport year-round. And with spring/summer here, and lighter hours late into the night, hours logged on the court are at an all-time high. While tennis is an excellent form of aerobic exercise and great for developing upper and lower body strength and coordination, it does have a downside...if you play too much of it. Tennis is a common culprit of many "overuse" injuries of the shoulder associated with the repetitive motion of swinging a racquet. The rotator cuff is a group of muscles located at the top part of your shoulder that can easily become overworked or even torn if not careful. When you reach up for a high ball or serve, painful irritation and rubbing within the muscles and shoulder joint can occur. This is known as impingement, and can eventually lead to a full tear. Pain in the front of the shoulder is most often associated with the biceps tendon that is used with groundstrokes. The elongated sweeping motion used to make contact with the ball can cause the tendon to become stretched out or torn. The superior labrum (SLAP) is where the ligaments attach into the socket of the shoulder. It can become torn simultaneously along with a rotator cuff injury. SLAP tears cause deep pain throughout the shoulder and may cause a "dead arm," or numb sensation, as well as a clicking or catching feeling when trying to use the shoulder. If you are suffering from shoulder pain due to a tennis injury, please contact us for an appointment.